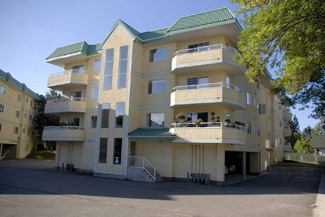 Updated spacious corner unit across from Skaha Lake beach and park. Laminate floors throughout, newer quality appliances, updated kitchen countertops and many new blinds. Northwest corner is away from the traffic, has a good mountain view and provides lots of shade from the summer sun. Natural-gas BBQ connection. Each unit has its own furnace and central air system. Jetted tub in the ensuite. Covered parking for one vehicle, additional outside parking. 19+, no rentals, no pets.